Pecans | Welcome to our kitchen! Holiday Season ha s officially started! You will be visiting friends and family and if you don’t want to show up empty handed, we have a great DIY gift idea for you! Cookie Mix in a Jar! We like the below recipe as the ingredients look really pretty when stacked in the jar 🙂 Just get a 1 liter (1 quart) jar, fill it up with the ingredients below, and make it pretty with a nice ribbon 🙂 We call it Holiday in a Jar! Layer the ingredients in a 1 quart or 1 liter jar, in the order listed. In a large bowl, cream together 1/2 cup butter (softened), brown sugar, and white sugar until smooth. Beat in 1 egg and 1 tea spoon of vanilla. Combine the flour and baking soda; stir into the sugar mixture. Mix in the white chocolate chips, cranberries, and pecans. Drop by spoonfuls onto prepared cookie sheets. Thanksgiving is fast approaching. If you are planning to cook for Thanksgiving, we are sure you have already started planning out what your menu is going to look like. Since we are all about nuts, we would like to help you with your dessert choice. 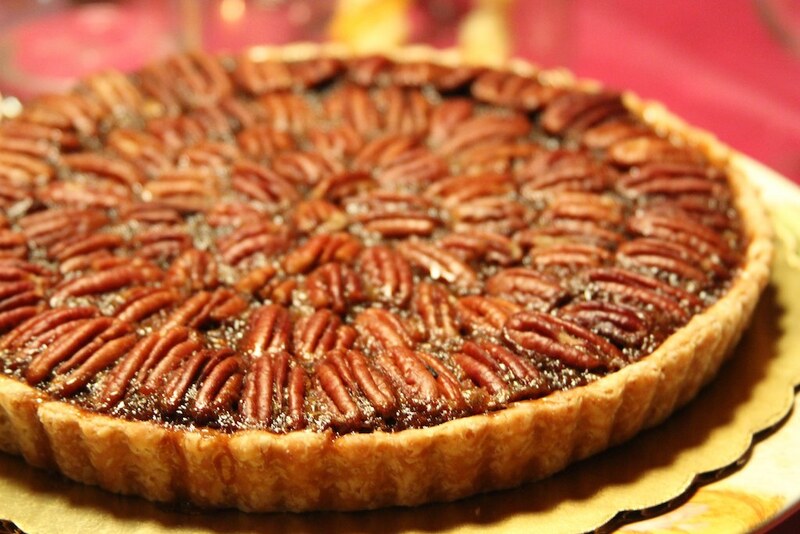 Pecan Pie is our favorite desert, and we love the below recipe since it has less sugar than most of the pecan recipes out there. 1 Preheat oven to 350°F. In a bowl mix together the eggs, brown sugar, corn syrup, molasses, melted butter, vanilla, salt, until smooth. 3 Bake at 350°F for 30 minutes. After 30 minutes cover the pie with aluminum foil to prevent the crust and pecans from getting too browned. Bake for another 40 to 50 minutes until the filling has set. 4 Remove from oven and let it cool completely. We hope you enjoy your delicious pie. Stay tuned for more recipes!